Email is an important thing nowadays. Although there are uncountable email service providers in world wide web but between all of these Gmail is now leading in top position. In our previous post we’ve discussed about the new look of Gmail. Gmail offers several keyboard shortcuts to tame the gmail better than before. These will help your email streamline activity more. Twitter's Keyboard Shortcuts For Power Users. Hey! 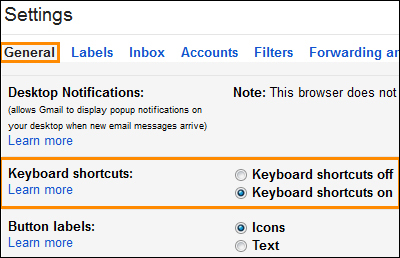 Before you go forward, make sure you have enable keyboard shortcuts function from Gmail settings. To do this, simply click then click Settings, click General and turn the keyboard shortcuts on. That’s all. Here are top 15 keyboard shortcuts for Gmail users. 2. To open a message or conversation press O or Enter button. This will also expand or collapse your messages in conversation mode. 3. To search a message press / This will put your cursor in the search box. 4. To Scroll up and down messages in inbox press K and J. A little blue bar will indicate the message. 5. To select a message while you are scrolling press X. 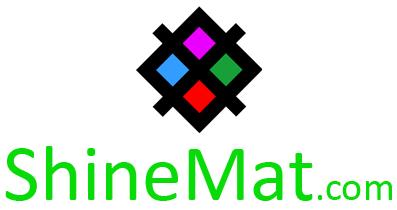 Here you can use some functions, like as labeling, archiving etc. 6. When you are staying in email thread, to move between newer and older conversations simply press N and P. Here, a tiny blue bar highlights the conversation. 7. To archive an email, first open it and press E. Note that, if a label already applied for this email then this will archive into that same folder. 8. When you are in an email hit R to reply. To reply all hit A and press F to forward. 10. To mark as spam a message and remove it from your inbox press ! 11. To save your message for sending later, press Ctrl+S buttons to save as draft. 12. To delete an email into trash box, press the # button. 13. If you want to move or label your email(s) select them and from inbox and press L.
A drop down menu will appear. Then, select your label or you can type to search label folder name. 14. To mark your emails as read or unread simply select an email or several emails and press Shift+I to mark as read and Shift+U to mark as unread. 15. To escape from current input field press Esc button. Hope this helps. Simply share and comment below.